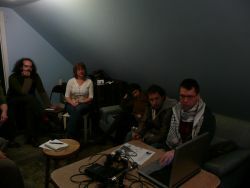 The second workshop in the Halifax Media Co-op's journalism skillshare series took place on April 7 at Robert Street Social Centre. David Parker, spoken word coordinator at CKDU and organizer with the HMC, took participants through the basics in recording and editing audio for radio or podcasting. 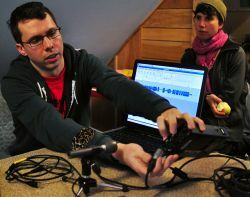 Come out for the Video Workshop on April 21!